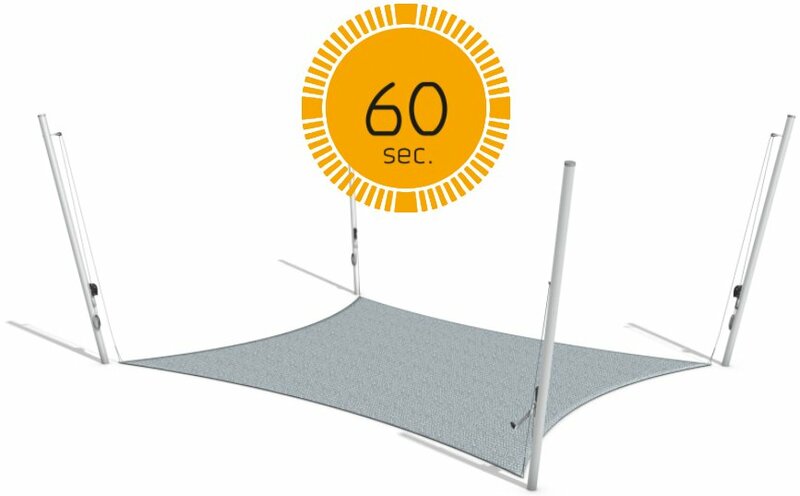 up a sun umbrella – as well as put it back down again in just 60 seconds! 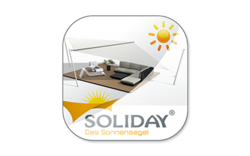 Yet another advantage of the SOLIDAY Snap System is its flexibility. 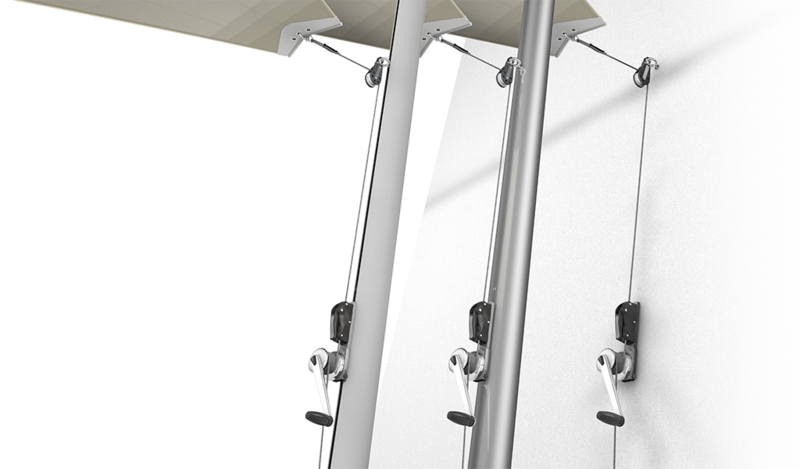 It can be mounted on pylons (droppole, stainless steel and aluminium masts) as well as walls etc. And without any elaborate effort. A removable winch means you only need one winch per sunsail system. 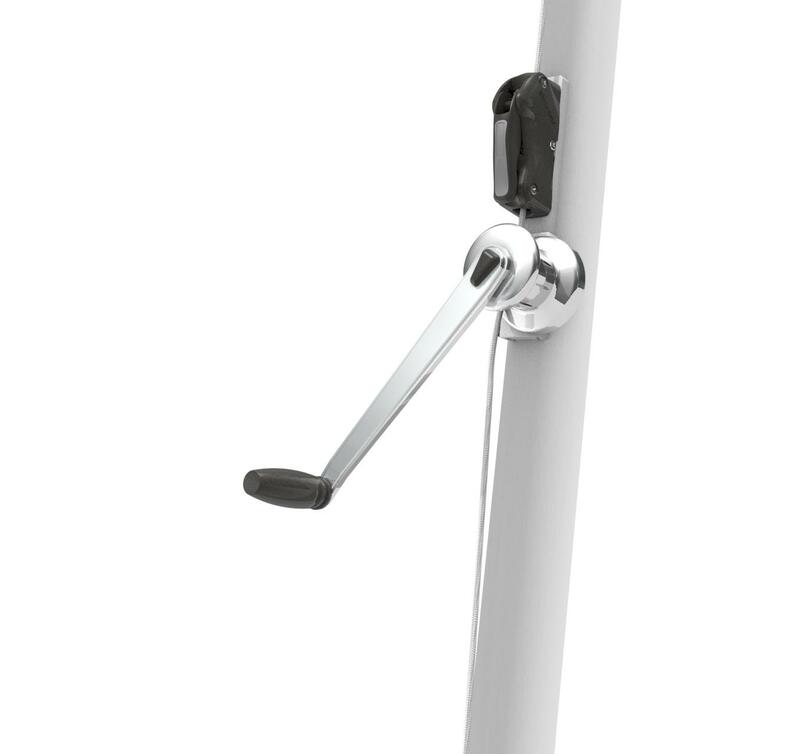 At all the other anchor points, it suffices to have a base plate installed with a fallstop clamp (for wall mounts, an additional stainless steel plate is also necessary). 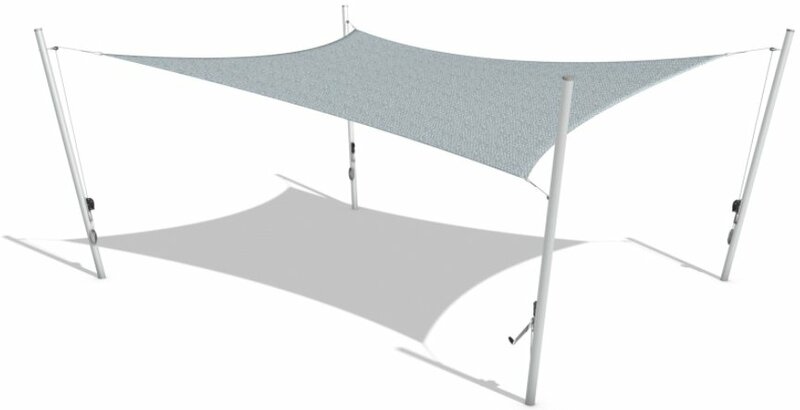 The winch is made from high-quality stainless steel, making it possible to attain professional-grade tension in the sail. The fallstop clamp acts as a fastener for the cordage. With a simple motion, the fallstop clamp can be released, which in turn frees the cordage. This means the sunsail can be taken down and put back up again very quickly. 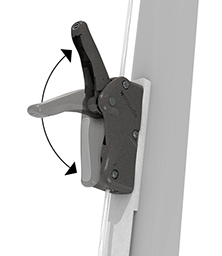 The special shape of the SNAP ground plate allows it to be mounted snuggly on aluminium pylons, stainless steel pylons and droppole pylons, as well as on house walls.